Cache In Trash Out® (CITO) is a bi-annual, week-long event in the spring and fall that focuses on environmental clean-up. Typically geocachers get together and clean up their neighborhoods or restore habitats. 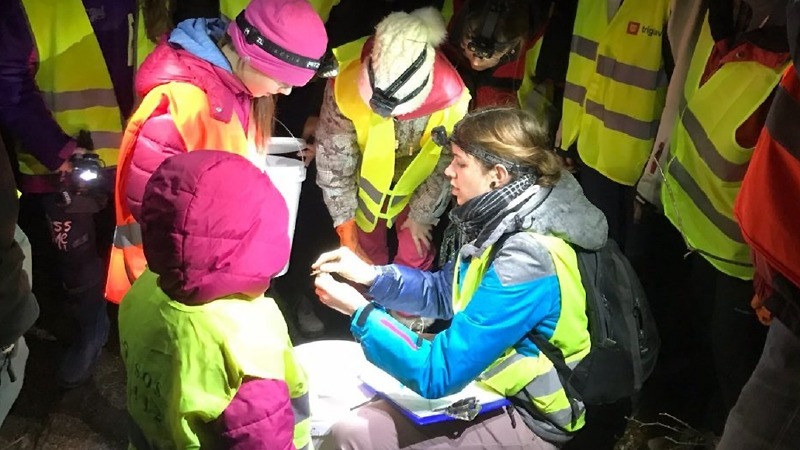 The Slovenian Geocaching Club hopped on a different approach this year — to carry frogs to safety. 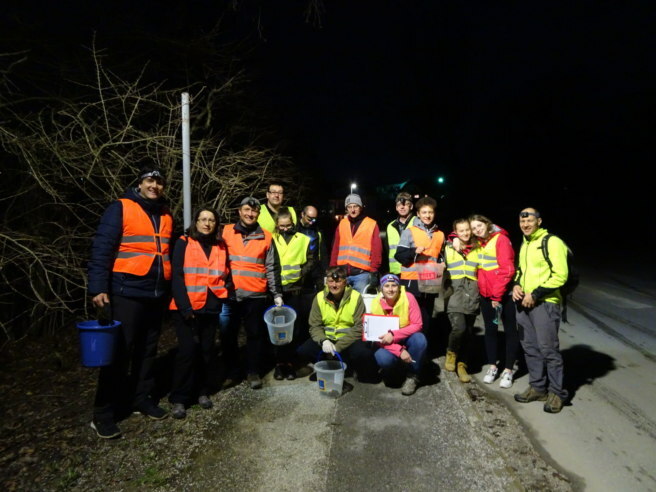 Across five cities in Slovenia, geocachers came together to join the cause and attend CITO® events on March 30th, 2018. The goal was to bring frogs and toads safely to the other side of the road during peak migration season in highly trafficked areas. The events started 20 minutes before sunset. The first half-hour was spent geo-chatting and receiving instructions on how to handle the frogs and stay safe at the side of the road. “We started just after sunset and it took awhile to find the first frog. 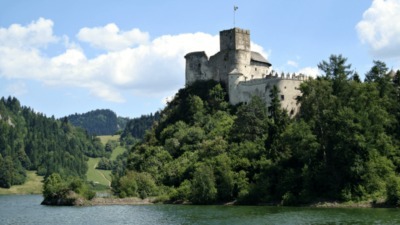 But once it got dark, they appeared out of nowhere,” said Igor, the president of the Slovenian Geocaching Club. 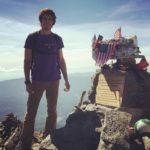 Igor was an organizer for the events and shared his passion for frogs, geocaching, and CITOs® in an interview with Geocaching HQ. Geocaching HQ: How long have you been involved with geocaching? Igor: I have been involved with geocaching since April 2011 and I have been a volunteer translator since early 2015. The Slovenian Geocaching Club was established as a legal entity in 2012 and I have been the president since March 2016. 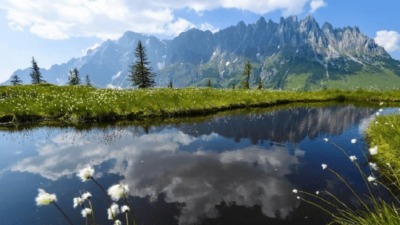 The club is committed to promotion of the game in geocaching community and beyond, organisation of events, and to sustain the fun factor of the game for Slovenian geocaching community. If that sounds too formal: the goal of the club is to make sure that something is happening in geocaching around here all the time and that we all have a good time with our favorite game. HQ How did you come up with this idea? Igor: The ‘Help the Frogs’ movement has a long history in Slovenia since we have many critical locations where amphibians cross the roads in the migration season. I have helped save frogs with local volunteers a few times with my daughter when she was still a student of biology, and I have placed a cache close to the location. So, I thought this would be an interesting activity for a CITO® event. 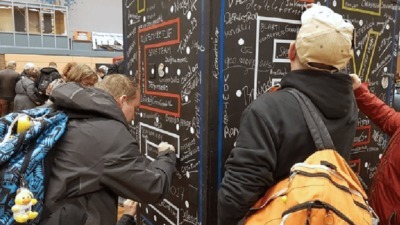 The goal was to help local volunteers on a certain day, motivate geocachers to offer help outside CITO® events and teach the geocaching community something new. We organised five events with the same name “Frog evening” that started roughly at the same time country-wide. We encouraged good communication with local volunteers on each location to avoid any misunderstandings. 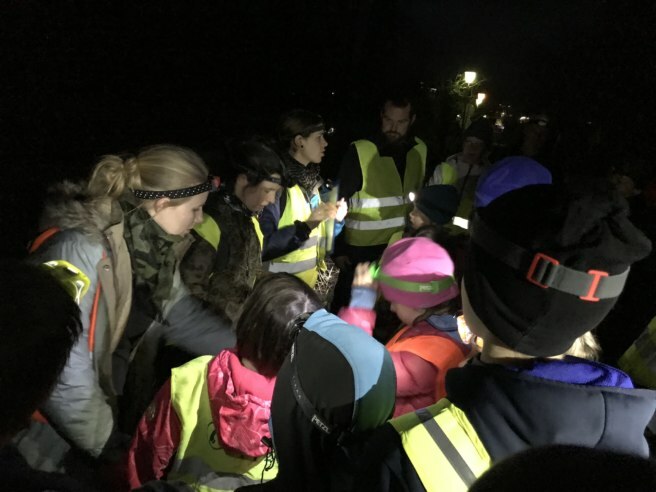 On four of the five locations, local volunteers and amphibian experts joined the event and provided some basics about the amphibians, importance of conservation activity, as well as instructions how to handle the creatures. One of the goals of the event was to also educate and overcome the myths towards frogs, mainly myths about getting warts. HQ: Overall how many participants were there? Do you know how many frogs were saved? Igor: Overall, 51 geocaching teams of roughly 100 individuals attended the events, plus three local volunteers joined our events on four locations. We estimated that the total number of amphibians that were carried to safety was around 950. 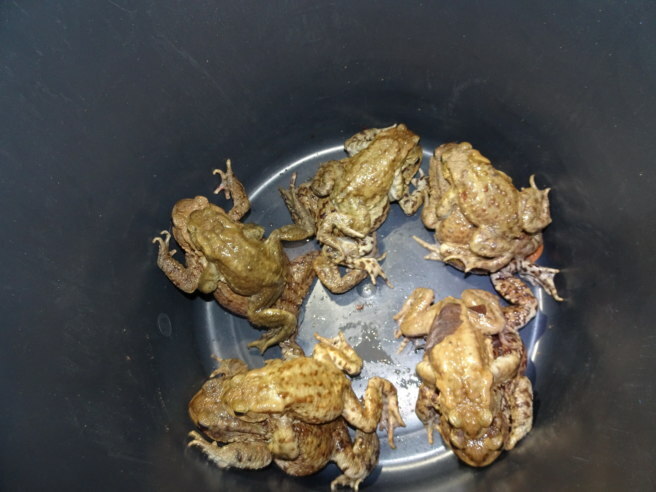 The species involved in the rescue were common toads (most popular), European tree frogs (green beauty, quite rare), agile frogs (the best jumper of European frogs, can leap more than 2 m), and edible frogs (don’t tell Signal they are called that!). You could be grabbing one, or two, or ten per minute in the section you were covering. We formed several groups and each group collected frogs along a 200-300 meter section along the road for two hours. It’s so rewarding when you carry these little fragile creatures to the other side, release them in the grass some ten meters from the road, and watch them disappear in the dark. HQ: Why did you plan for March 30th? Igor: Migrating season usually lasts for two to three weeks. This year, the winter was long and migrating season was interrupted by ten days of below zero temperatures. March 30th was the first of possible dates, but we were ready to postpone the events or move them earlier to catch a day when the frogs were out. It turned out it that the 30th was one of the best possible days. The events were an overall success as everyone’s efforts helped make a difference preserving the amphibian’s lives. 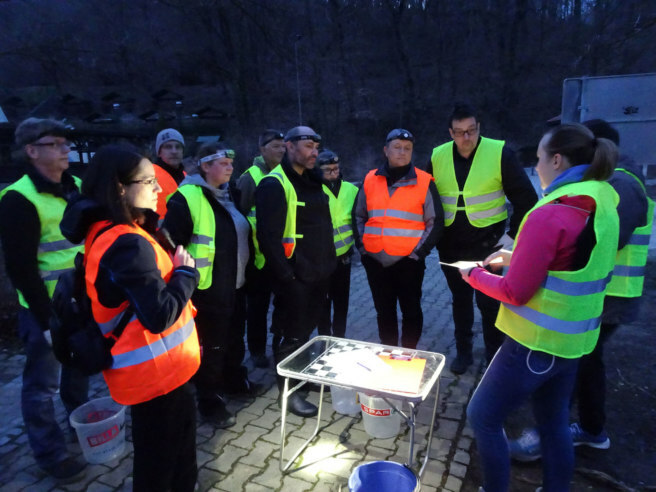 Igor and the Slovenian Geocaching Club hopes to continue with the event and perhaps inspire others to think of CITO® in a slightly different way.